One of the more frequent scenarios is listing the top X results, such as most profitable products, biggest customers, top 10 best selling stores, etc. Also doing a top X selection helps reduce clutter in charts: a lot of data points can work as noise and obscure the data points that really matter and make the biggest impact. 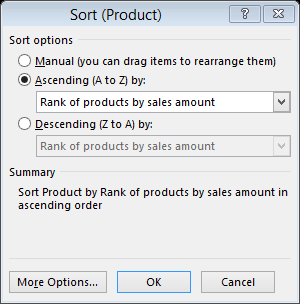 In this post I describe an approach to implementing these scenarios using Power Pivot’s RANKX() function. These measures allow me to determine the top selling products by sales amount and best cities by number of products sold. 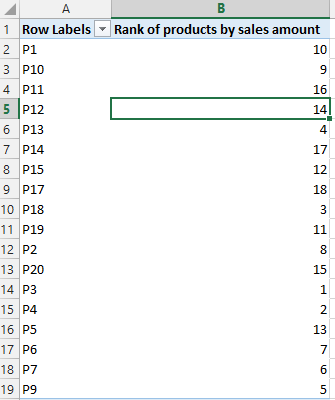 Only thing left to do is to use a Pivot Table / Pivot Graph or Power View / Power Map visualization and display the results. 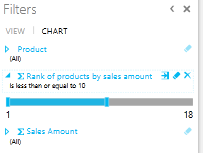 And here it is: a top 10 of products by sales amount. The trick here is to create the visualization just as normal (as above). 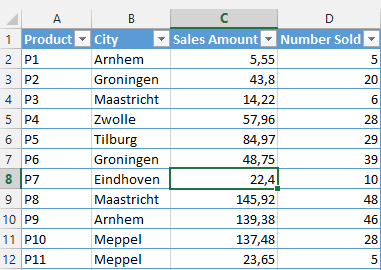 Above displays the sales amount by product and the number sold by city. However, the catch here is that both the graph as well as the map have a filter on them that utilizes the rank measures I created. Here is the filter for the chart. 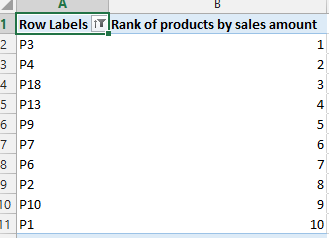 The ‘Rank of products by sales amount’ measure is filtered to showing only values less than or equal to 10, i.e. the top 10. What’s best about this is that it is very easy to change from top 10 to top 15 to top 5 or anything you desire. Also, the Power View is fully interactive. 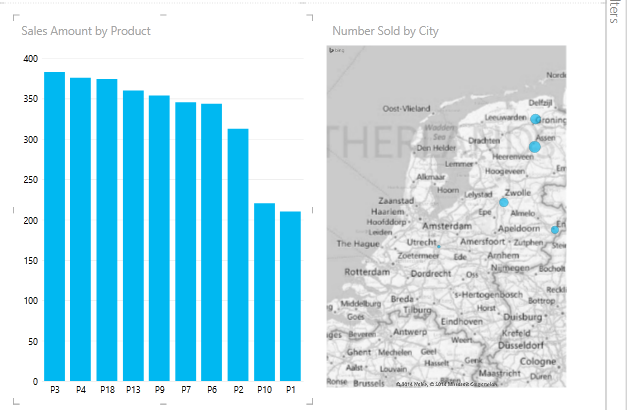 For example, clicking on one of the cities on the right shows which products are sold in that city. Note that it does not show the top 10 products in that city however. Hope you liked this Power BI Pro Tip!